Nature and the environment have proven the inspiration for many of you too. 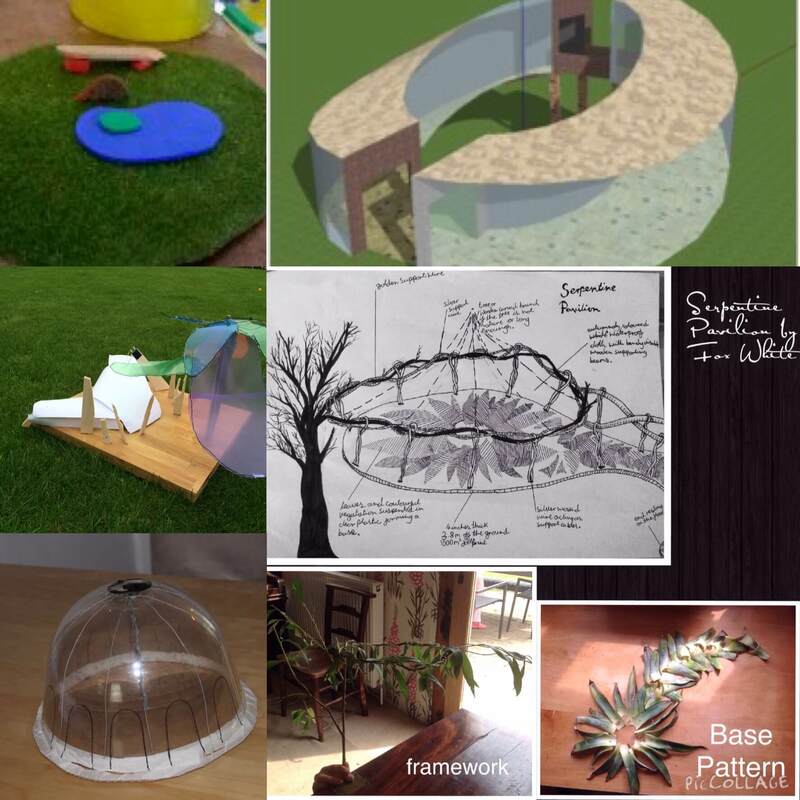 To celebrate Sustain, your fabulous designs and the world around us we thought we’d look at the array of nature friendly Pavilions you’ve sent through. The wire elements of Jasmine’s artistic offering were inspired by spider webs with the top form representing a spider hanging down. Jonny’s jumping off point was a game of catch. ‘I thought about how a cat will try and chase birds,’ he says, ‘so I made the seagulls a shelter and sculpted a cat chasing them.’ Others were also inspired by animals: Leila’s green gecko, Olivia’s mice (in cheese! 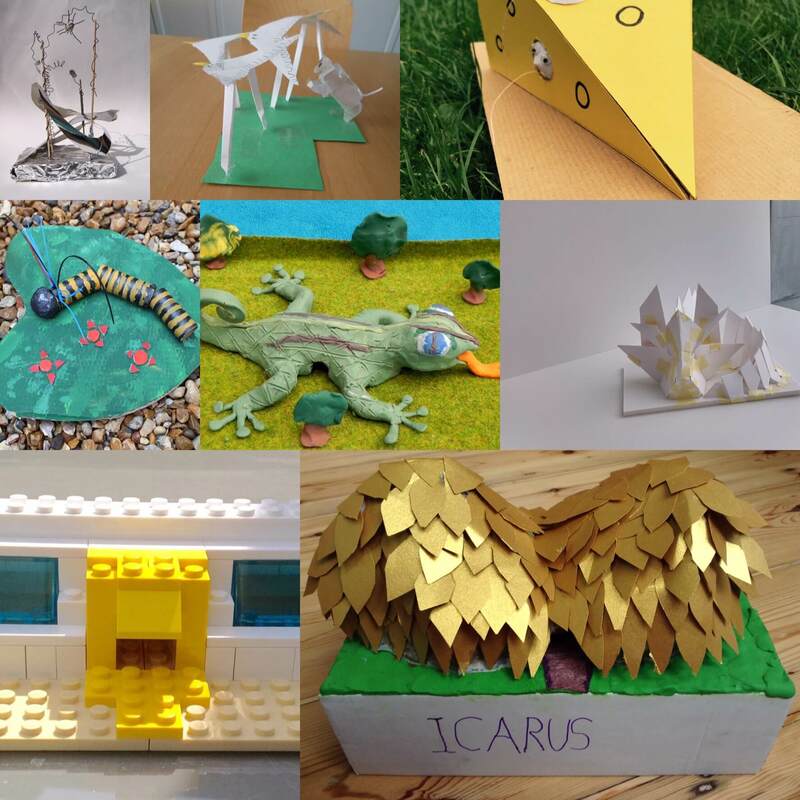 ), Alice’s caterpillar, Ellie’s sleeping ‘dragon, deer, fox or goat’, Rufus’ bird of prey called ‘Icarus’ and Callum’s lego eagle are all great examples of wildlife providing structural inspiration. Other designs took into account low carbon ways to run a Pavilion. Gina’s would be powered by windmills. Her eco-friendly Pavilion would have towers connected by walkways that have grass growing on them. It would be used for nature-spotting as well as concerts and other events, which would be performed on the walkways with the audience underneath. 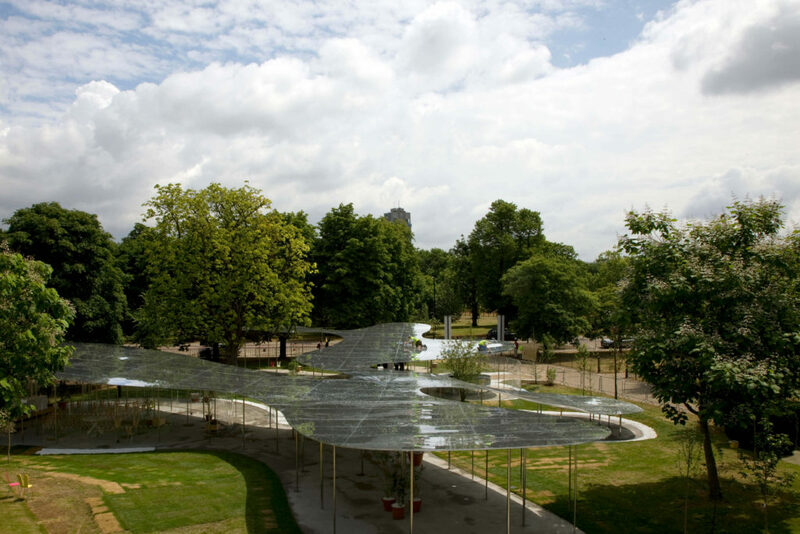 Solar panels would power William’s design, which was inspired by birds flying through trees.